Diplomacy is rapidly transforming in the 21st century with an increasing range of diplomatic actors vying for space on the international stage. At the same time, conventional forums of negotiation such as UN bodies remain highly important, particularly for exerting multilateral pressure on states regarding human rights obligations. Often the UN provides the only relatively safe political space to publicly voice concern and push for positive change. However, in recent years representatives of minorities, stateless nations and indigenous communities have reported difficulties in accessing UN premises, challenges in participating at UN forums, and cases of intimidation by member states as a result of their presence at UN events. 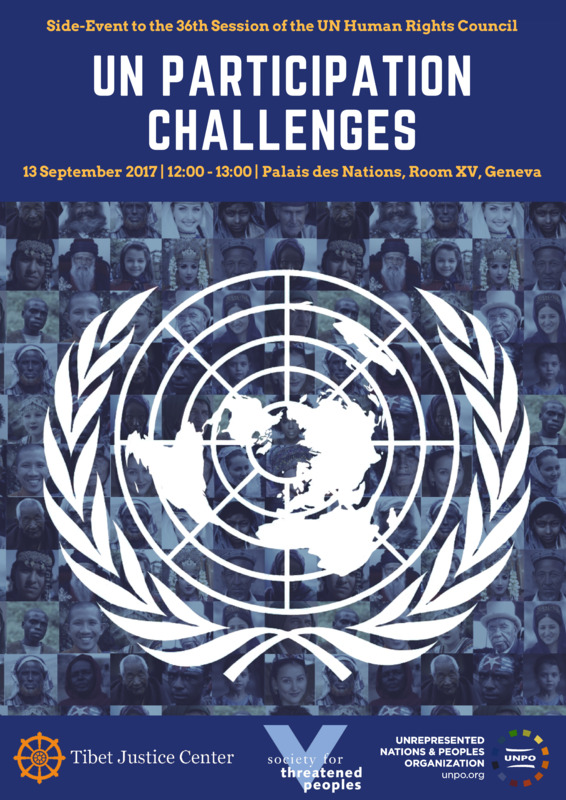 This side event brings together representatives from a range of communities not formally represented at the UN to discuss their experiences, alongside NGOs who seek to raise the international profile of such groups. Discussion will focus on positive steps that the UN and its member states have taken and might take to ensure that a range of voices and perspectives are heard at the UN, and on what resources are available to groups to inform and strengthen themselves.